WordPress is the most popular and useful platform for websites and various kinds of blog. User like WordPress CMS because it is trouble less and easy to use. It has easy setup so you can built your website easily. WordPress attract user to experience in their websites as it is an open source project. There is huge bundle of zero price free WordPress wedding themes that blow up your mind. These themes are most powerful with various functionality. The dream which every single see with his/her open eyes is Wedding. You are accepting the facts and willingness to move ahead to fulfill your countless dreams for your big day. Wedding is the most prominent important day. You would like to celebrate every single movement with love and of course perfection. You want to hold your breath and freeze these beautiful moments for ever last. In my opinion wedding WordPress theme is the best way to display and freeze your memorable day for ever last. Every WordPress theme has some magnificent features which help you to present and show your valuable photos and videos. There are tons of free WordPress wedding themes having incredible and attractive different layouts and features like premium quality. Now we are going to present some nice, clean and attractive free WordPress wedding themes. It is great opportunity for you by selecting and picking one of this awesome free wedding theme to make your wedding a memorial occasion. 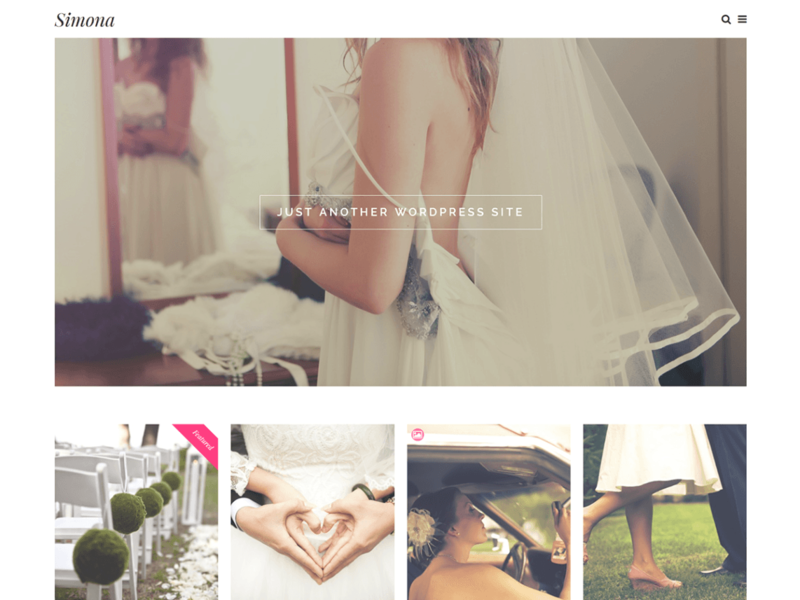 Weddings is a beautiful, classy free WordPress theme. It is well designed and graphically composed free theme. It has professionally modern look which impress the user at the glance. This theme is generated for wedding business related website, wedding event planner websites but i think it is a absolute choice for personal wedding website. It is over loaded with unique, brilliant features. It has awesome homepage slider which help to greet and also up to date your friend and family. This theme has some extra templates where bridegroom and bride can write there love stories and also some very important information regarding the up coming event. Its editable colour schemes display your wedding photographs in a attractive manner. It is responsive theme. It supports social media and SEO. It has also dozens of nice and appealing features. Some are built-in widget, custom menu, flexible header, fluid layout, custom CSS and many other exiting features. 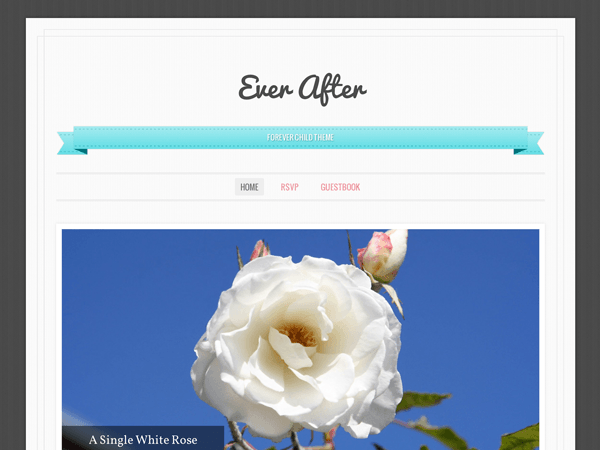 Ever after is a refined, reliable, versatile, elegant and creative multipurpose WordPress theme. It is well developed, crafted and well designed theme among the list of free WordPress wedding themes. It’s clean, delicate, precise, sophisticated and gorgeous look make this theme more attractive and striking the user at the glance. It is a perfect choice for wedding theme. It has wide one-column layout which is an ideal feature to showcase you wedding photos and videos. It is free responsive theme which is compatible with any device. It has a bundle of useful dazzling features like custom header, flexible header, RTL language, custom menu, translation ready and much more. These features are easy to use and help to build your wedding website easily and of course memorable. Together is another beautiful, elegant theme among free WordPress wedding themes. It is creative, clean and prettify theme. Together is a powerful multipurpose free theme. It is painless and easy to use theme. It is ideal selection for engagement, marriage, personal websites. This product is both practical and attractive. It has astonishing features also. It is highly responsive premium quality theme. It has theme Customizer which help on live editing. It has page builder option which organize homepage easily. Some other outstanding features are social profile, custom menu, custom header, one column, translation ready and some also exciting features. Beautiplus is a classy, modest, refined free WordPress theme. It has bundle of awesome features. Its polished and attractive look is eye-catching for users. 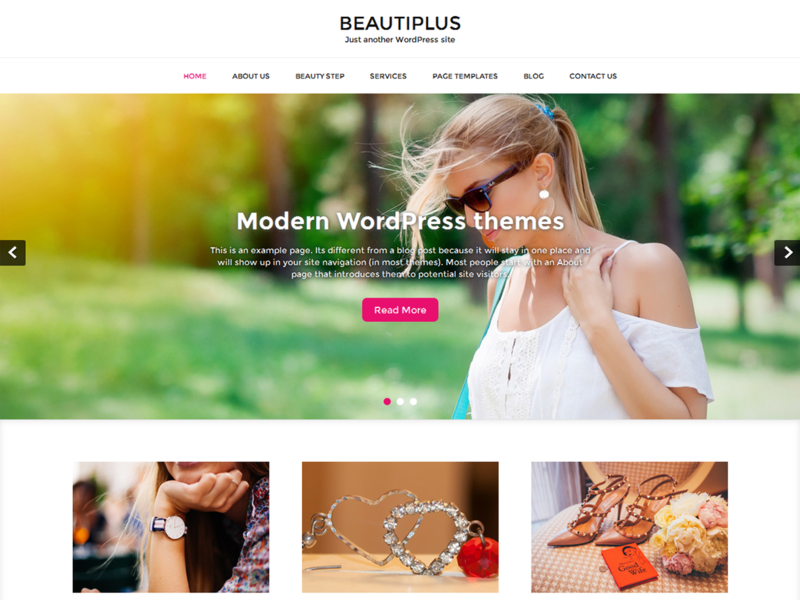 Beautiplus is an versatile and multipurpose theme so it can be suitable for personal, fitness, start up business, blogging. In my point of view Beautiplus is marvellous choice for wedding theme. This is responsive theme. It look very nice in other devices too. It is well designed, powerful creative theme with outstanding dazzling features like custom header, custom menu, full width template, one column, editor style, custom widgets. It has easy customization which give us countless fonts and colour option without touching the code. It is SEO friendly and also support WooCommerce. 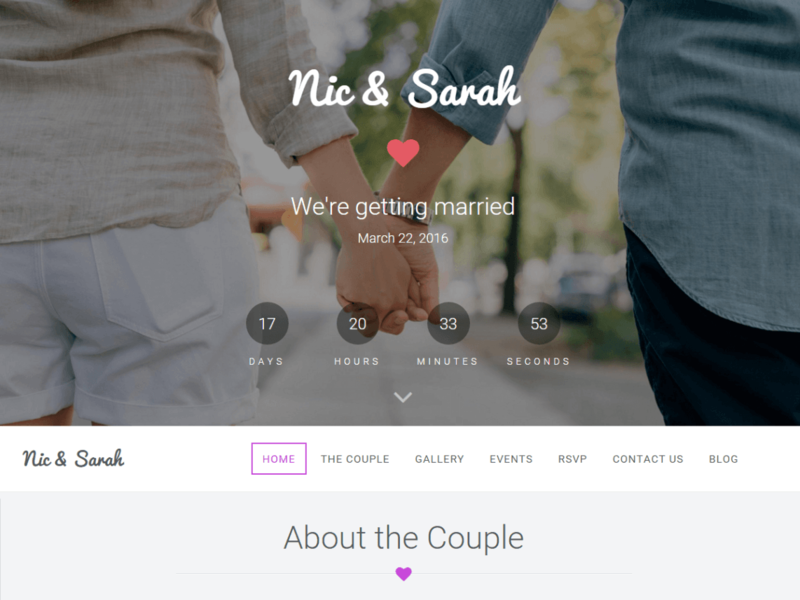 Wedding style is a fresh, flexible modern free WordPress theme. It is highly versatile attractive WordPress theme suitable for various kind of blogs and websites. Especially wedding style appears awesome in wedding theme. 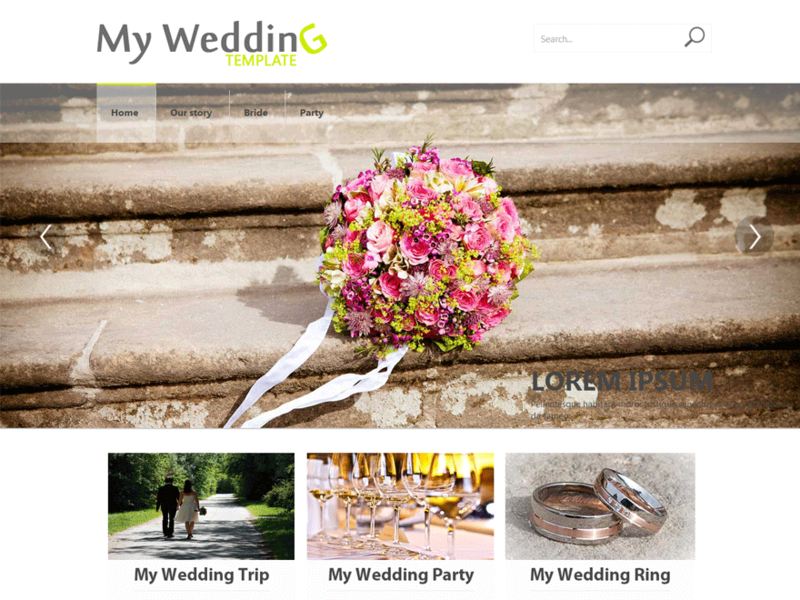 It is not only useful for personal websites but also ideal for wedding planners and organization. It has some astonishing features which makes this theme different to others. It is fully responsive, social media and also SEO friendly theme. It has a nice possibility to add custom CSS. It has full width slider which is very good to showcase your wedding photos or videos. Some other amazing, creative features are multi-part homepage, custom background, dark featured images, fluid layout, typography options, 10 different page templates and much much more. 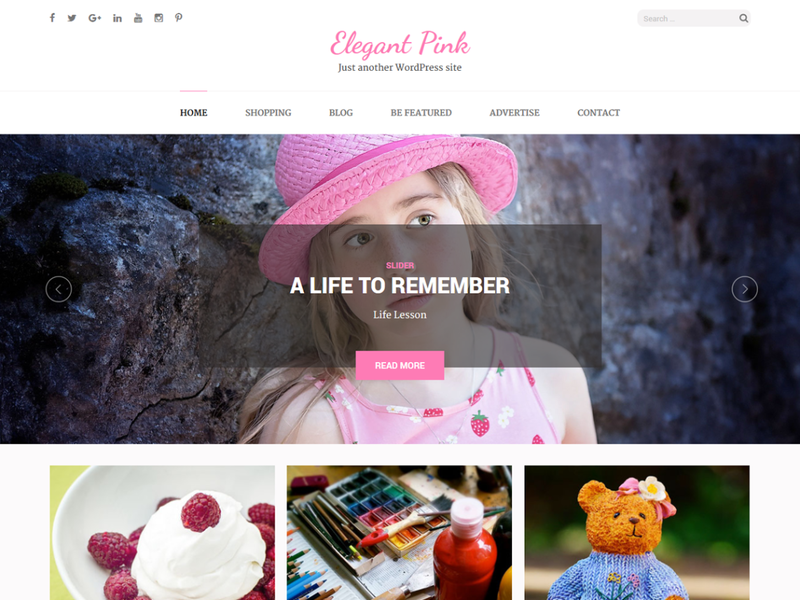 Elegant pink is a delicate, refined, stylish free WordPress theme. As we all know girl’s favorite colour is pink so its name clearly represents that this is feminine WordPress theme. This breathtaking, spectacular theme is appropriate for design and art blog, fashion blog, fitness, gym, personal, lifestyle, kids, photography and also different kind of nice magazines and blogs. Elegant pink is a striking, impressive dazzling theme. It is a perfect choice for wedding theme. It has premium functionality. It is fully responsive and it is compatible in any device. It is SEO friendly too which help to make good rank in different search engine and Google also. It is user friendly theme. It has wide range of very amazing features like custom CSS, footer widget area, Pinterest style layout, translation ready, custom menu, full width template and many other which user really want in any theme. Simona is a beautiful, well developed clear and clean free WordPress theme. It has eye catching, creative and well crafted features. It is a blending of beauty and functionality. 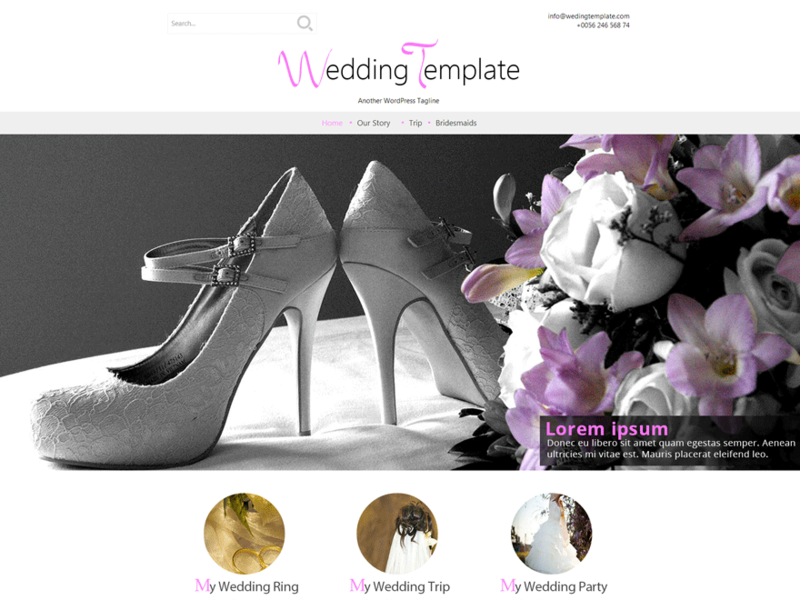 It is a multipurpose dynamic theme compatible for wedding planners, dress designers, photographers, events, engagement and perfectly for wedding websites. It is a easy to use and stunning intuitive free WordPress theme. It has fully responsive layout which is capatible in all device and mobile too. In homepage you can built beautiful slider with the help of custom header feature. Some other outstanding features are custom menu, photoblogging, post formats, translation ready, two column and lots more. 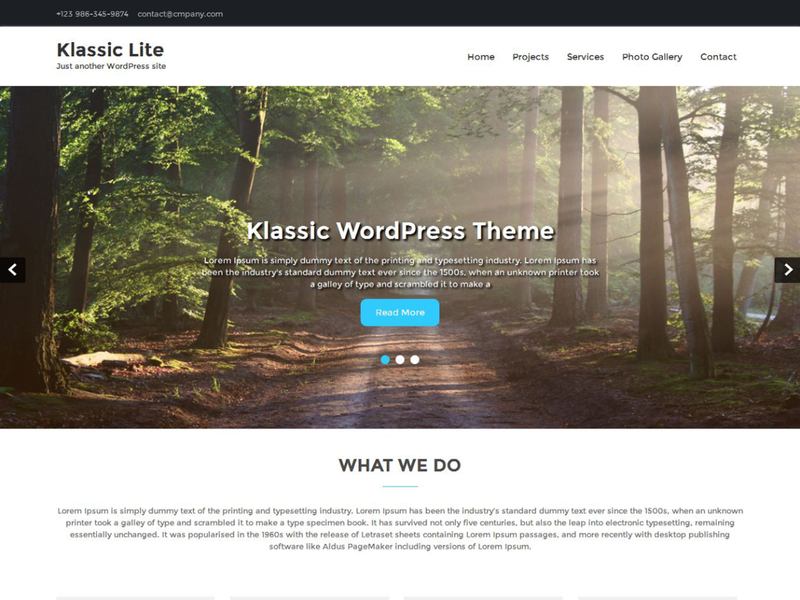 Klassic lite is a beautiful elegant free WordPress theme. Its modern and clean look is very impressive. It is well built and fully equipped WordPress theme. It has modest unique look which can be fits in travel, fitness, photography, fashion, start up business and of course for wedding theme. It is completely responsive theme which can be look great in any screen size or in any device. It has built in Woocommerce support. It also support premium quality, popular and important plugin like contact form 7 and nextgen gallery. It has nice option to display your unique project and your outstanding work by its awesome extra page template and default gallery features. This product has some other brilliant features such as translation ready, easy customization, custom widgets, custom header and lots more. SKT wedding lite is an elegant, beautiful modern free WordPress theme. It is creative, well crafted, beautiful theme. It is highly versatile, polished. It is multipurpose theme and well appropriate for wedding planner, start up business, photographer, fitness, personal, fashion, and wedding theme. It has refined clean look that can fit in feminine based blogs and websites. This unique product has bundle of astonishing features that every user want. It is highly responsive free WordPress theme. It also support popular plugin like gorgeous Woocommerece, attractive nextgen, and nice contact form 7. Some also outstanding exciting features are qTranslateX, right sidebar, custom background, custom menu and more. 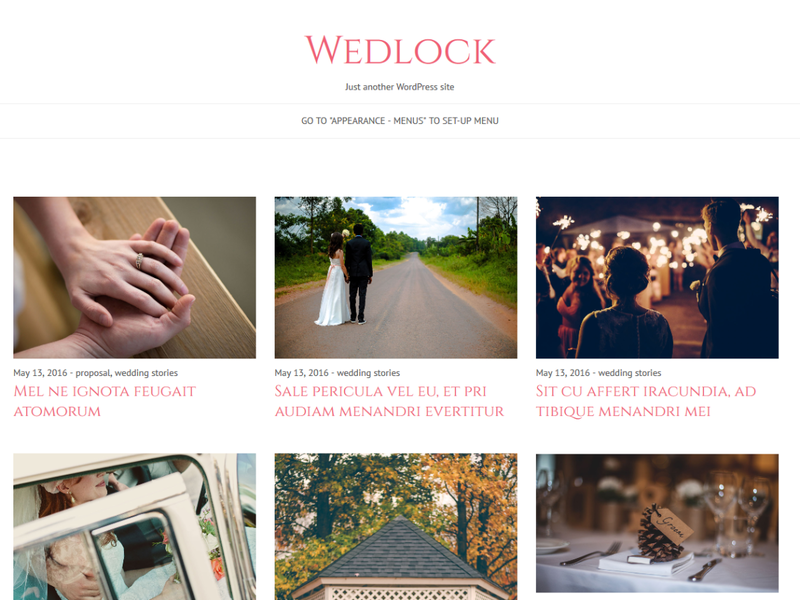 Wedlock is a flexible, elegant, visually stunning free WordPress theme. It is classy and perfect theme. It is trendy with premium quality functionality. As it is well designed adaptable theme that can suitable for fashion, travel, wedding planners, photography, personal and no doubt it is perfect excellent choice for wedding theme. It is professional sophisticated modern theme with unlimited awesome features. It is completely responsive theme. It is refined, fast, and friendly user theme so that it has no need to write coding. It has nice extra predefined layout templates. It support WPML, polylang and WooCommerce also. It has parallax and video background sections. Some other highlight features are translation ready, theme option, grid layout, custom menu and many many more.